The 19th century saw more than 1,500 shipwrecks along the New Zealand coast. The reason for so many was the country’s long, exposed rocky coastline combined with a large number of visiting ships bringing immigrants and goods to trade. 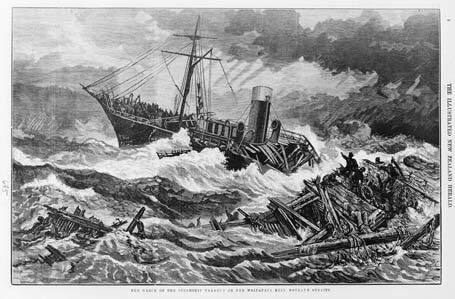 The wreck of the steamship Tararua was the second most costly in terms of human life. It was destroyed on Waipapa reef in Foveaux Strait, en route from Port Chalmers to Melbourne on 29–30 April 1881. Of the 151 people on board, all but 20 died. To prevent further tragedies a lighthouse was built at Waipapa Point and lit in January 1884.